When this episode was first teased, it left us on a big cliffhanger. The owner was revealed to be in possession of a panel of the Pandora Box, leading Sento to question whether he was a member of Faust. Although the episode did reveal things about him, it was quite anticlimactic compared to what we were originally shown. 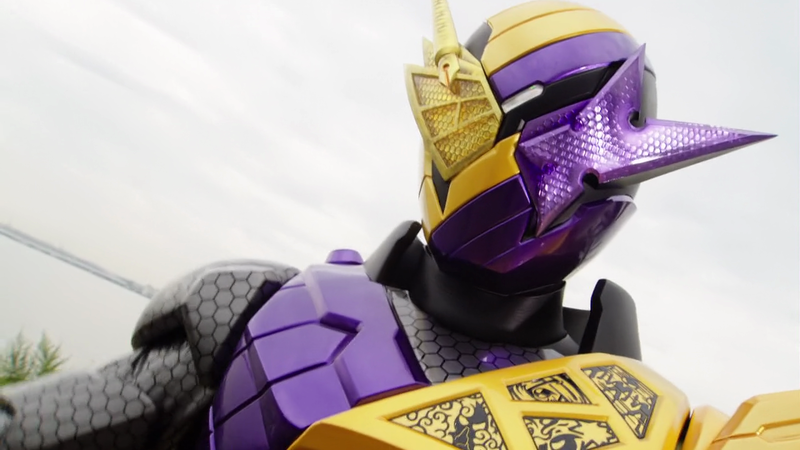 The episode begins with the owner telling Sento about how he was the astronaut who activated the Pandora Box, explaining how he found the panel. As I said, this is kinda unexpected. Although it makes sense, it’s still confusing why he didn’t just tell Sento when he found him considering his reaction. While we get to learn more about the owner, some of Sento’s back story is revealed too. We learn that, before he lost his memory, he was actually a member of a band. It’s kinda funny how he may not be as smart as he was initially claiming, although he did leave the band to work on a new drug so that kinda makes up for it. Personally, I think this is a bit to early for a reveal like this. I know I said in my episode 2 review that I’m glad the show is taking risks this early, but Sento and the owner’s reveals should’ve been saved for episodes 9-12. We also get to see more of Blood Stark. In my opinion, he is probably the most threatening villain in the series so far. He was shown to be intimidating from his first appearance but this episode just makes him look even cooler. Speaking of cool… The new form in this episode, NinninComic, is probably one of my favourite forms so far. I especially like the new weapon, which incorporated 4-panel manga into the design. The SMASH of this episode was created from one of Sento’s old band mates. He wasn’t defeated though, since Ryuuga stopped Sento from extracting the essence so he could test his theory that SMASH return to the Faust HQ when their essence is returned. Segueing nicely into the next episode. Overall, this episode was okay. The plot twists should’ve come later on but they were well executed either way. I’m looking forward to the next few episodes. What do you think of Build so far? Let us know in the comments!